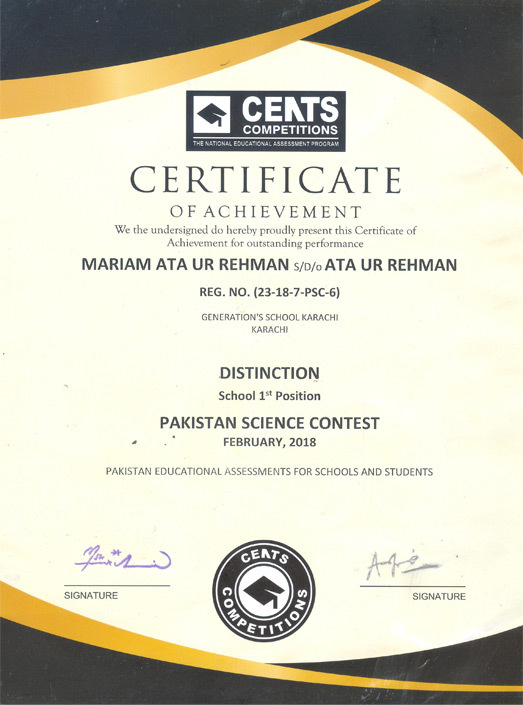 Mariam A. Rehman, granddaughter of SAEEA Pakistan member and Aramco annuitant Engr. 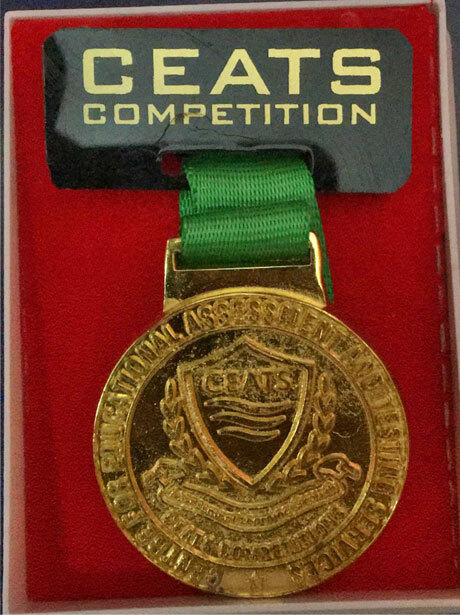 Iqbal Ahmed Khan participated in the Pakistan Science Contest CEATS (Center for Educational Assessments and Testing Services) which took place on 9 February 2018 in “Generation’s School” South Campus. The test, given to students in the Middle and Senior section, offers students an opportunity to test their science skills. In the test there are only theory questions - practical is not included. The test was one and a half hours long and consisted of many topics such as Ionic and Covalent bonding, Acid and Alkali, Carbon Cycle, and Ecology. Mariam says, "The test was pretty difficult for me as I was only in Grade VII while many topics were from the Grade VIII and IX syllabus." Test takers totaled 26 with 5 students from grade VII and the remaining students from Grade VIII’s and IX’s. Mariam reflects, "Well, this thing was stressing me a lot but my strong belief in Allah (S.A.W.T.) made the test very simple for me. It was a bit challenging but then I was able to complete the test in the given time and I was pretty satisfied with my performance. When the certificates were being distributed in the classes I was getting pretty tense and angry because I had also participated but didn’t receive my certificate." 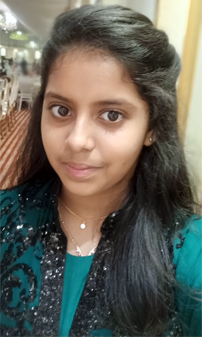 Mariam also shares, "After participating in this contest I have realized that these competitions are only a way of increasing your knowledge and giving you an opportunity to know your strengths and weaknesses. Throughout the day when I was practicing competition, I learned how to observe more carefully and find out problems and their solutions for them. I would really like to thank my science teachers Ms. Mehek Ali and Ms. Nighat Husnian for their never-ending love, care, and support. It is also because of my parents' encouragement that I learned it is nothing big it is just going to be like a normal school test but not like Biology, Physics, and Chemistry it is going to be combined Science. And with the never-ending support of Allah (S.A.W.T.) playing a major role in what I was able to achieve, it is just my trust in Allah (S.A.W.T.)." "In short, I would like to say that it is your belief in Allah (S.A.W.T.) which pays off. It also depends on willpower; if you will do something you will surely be able to accomplish it if Allah (S.A.W.T.) wills it so." "As soon as I returned home from school I told my mom that all this is happening and I was very upset. Weird thoughts were coming to mind such as that my test was canceled due to some misconception or my test was not sent forward for checking, etc. After listening to my extremely long, never-ending and depressing talk my mom only said 10 words - “It’s okay, don’t worry, everything will be alright” and I was like, "Really, mom?" But then I became a bit patient." "And then finally the BIG DAY came. I was still upset as I didn’t know what was about to happen. It was the “Achievement Day”. It took place on 18 May 2018. 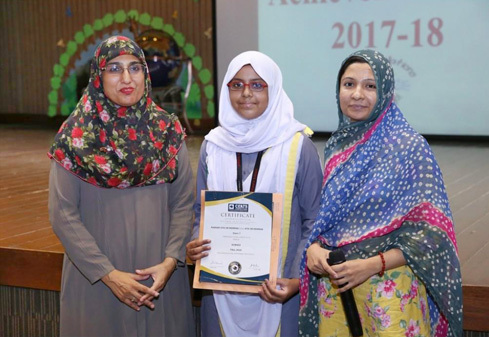 I was pretty bored as I hadn’t achieved anything but when the event was about to finish our lead teacher of science, Ms. Nighat Husnian, came on the stage and said, “I am here to announce the winner of the Pakistan Science Contest and it is Maria Ata ur Rehman”. 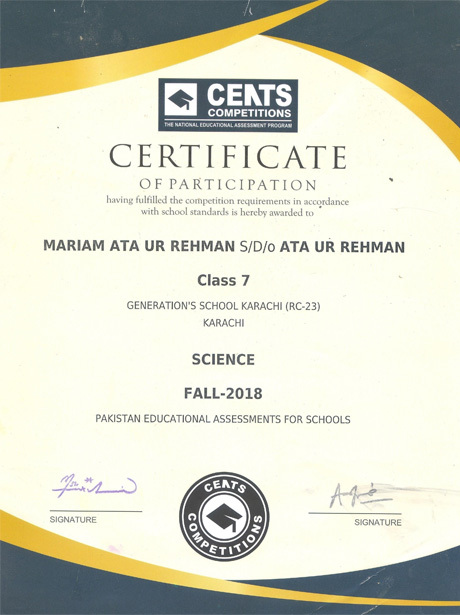 I knew it was me as all Science teaches called me Maria instead of Mariam. I couldn’t believe it was me! In that excitement, I ran from the last bench of the auditorium to the stage. It was pretty far but then I did not feel anything except for excitement. 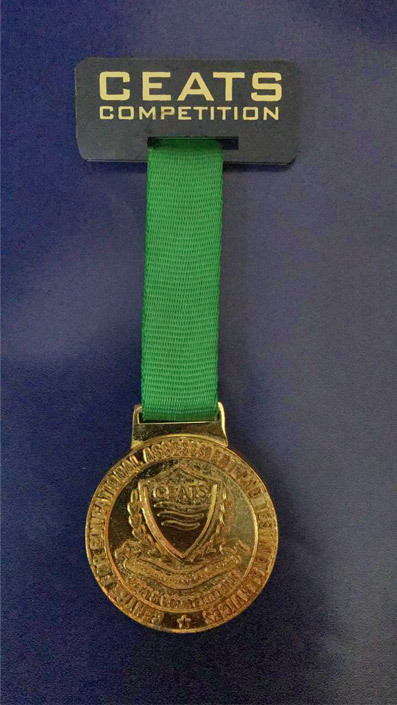 I was awarded with a Gold Medal, a certificate of Achievement and a certificate of Participation. The person who gave me all this was our Vice Principal, Mrs. Uzma Shakeel. I was extremely happy as I met her for the first time. I surprised my parents. They were very happy when my grandparents Engr. Iqbal. A. Khan and Mrs. Zohra Iqbal were told the good news. They were very happy and all the other family members were also very happy. They also praised me a lot." Engr. 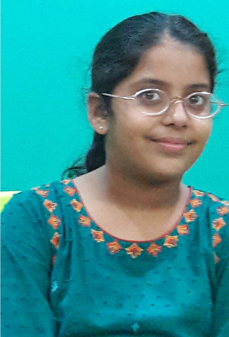 Iqbal Ahmed Khan writes, "SAEEA wishes Mariam a very bright future and hopes she will keep her parents always proud."